Elegant formal dresses by Zoey Grey are ideal for the trendsetting woman with an eye for fashion. Zoey Grey is a premier designer of contemporary, modern-look dresses. This assortment of Zoey Grey designer dresses includes elegant evening gowns, trendy dresses for prom, and couture prom gowns. From fashion-forward styles to classic, refined styles, these couture prom dresses pay homage to the chic looks of the present and the elegance of the past. 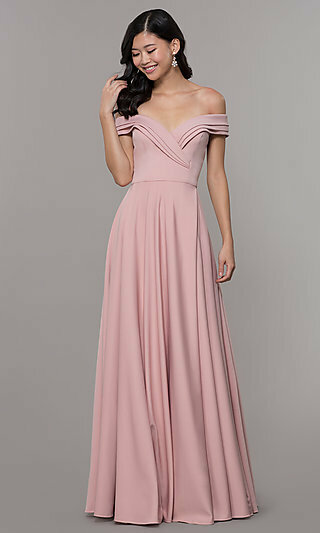 The youthful, yet sophisticated styling of long prom dresses by Zoey Grey are designed to paint a picture of grace and poise while emphasizing the feminine silhouette. You’ll exude confidence as you make your grand entrance in one of these Zoey Grey designer prom dresses. We are showing you all of our dresses that are available in the color you have selected, even if the picture is in a different color. Only show dresses that are photographed in the colors you have selected. Sorry, no results were found for your selected options. Try reducing the number of options or start over. Which Zoey Grey Designer Style Should I Wear to My Next Formal Event? With their next-level designs, lush fabrics, and fine attention to detail, Zoey Grey designer prom gowns are the perfect choice for your next special occasion. You’ll find long prom dresses by Zoey Grey and elegant evening gowns that feature illusion-lace sleeves and bodices, intricate embroidery patterns, and alluring key-hole and side cut-outs. For a refined, sophisticated look, try a floor-length figure-flattering jersey evening gown with an elaborately beaded bodice and sweeping train. If you’re looking for a trendy new look, check out the two-piece formal dresses by Zoey Grey. You’ll find unique two-piece dresses featuring floral-print skirts, long mermaid and trumpet skirts, and a-line skirts with beaded waistbands. Whether you prefer the soft delicate look of a flowing chiffon or a bold vibrant print, elegant formal wear by Zoey Grey is sure to please. Browse PromGirl’s assortment of fashion-forward elegant formal dresses by Zoey Grey to make your next special occasion extra special. The stunning evening gowns and couture prom dresses by Zoey Grey showcase graceful silhouettes and sparkling embellishments that are sure to stand out. Not sure what to wear to your special event? A classic black evening gown is always a good choice, and the designers at Zoey Grey have created several timeless looks from which to choose. From long prom dresses with v-necks and illusion-lace open backs to illusion-sweetheart beaded-bodice prom dresses with a-line skirts, shop PromGirl’s collection of elegant formal dresses by Zoey Grey for a polished look to wear to your next special occasion.